A joint mouse is a loose piece of cartilage or bone tissue that floats freely through the joint. This can impede the movement of the joint. A joint mouse that consists of cartilage can continue to grow. 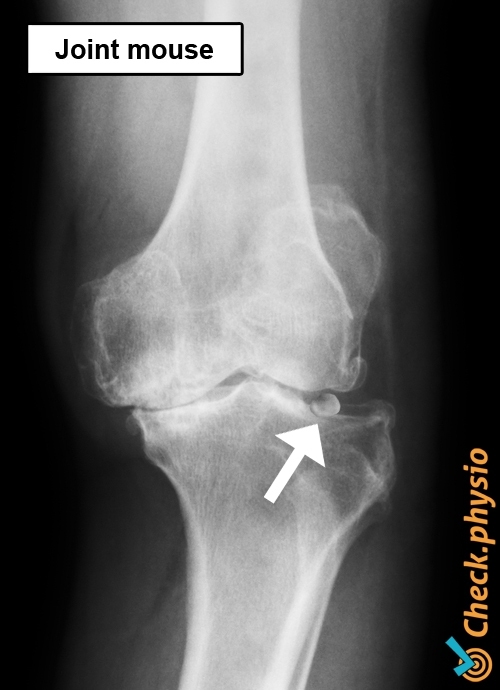 Cartilage is fed by the joint fluid (synovial fluid). A loose fragment of cartilage is still being fed by the synovial fluid. The joint mouse can impede the normal movements of a joint. A joint mouse can have various causes. Sometimes the loose piece of bone or cartilage tissue is the result of a fracture (break) or an accident. However, the tissue can also loosen gradually and result in symptoms that cannot be attributed to any specific moment. The patient experiences locking of the joint. This means that the joint is suddenly unable to flex or extend properly. The person will often feel something shifting in the joint. The joint mouse is forcibly pushed to one side. The symptoms can be felt in various places in the joint, because the loose piece of tissue does not necessarily remain in exactly the same position. Sometimes the problem appears to be solved, but the symptoms can return at a later time. The diagnosis is made by means of an X-ray or MRI scan. 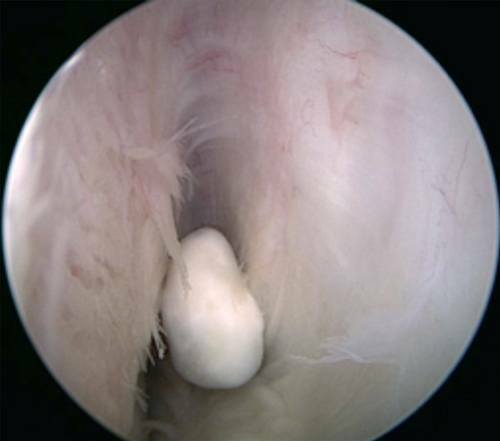 A joint mouse is usually removed via keyhole surgery (arthroscopy).